Best Priority Pass Lounge is La Valette Club in Malta! For reference, please see this post on how to get Priority Pass for airport lounge access. 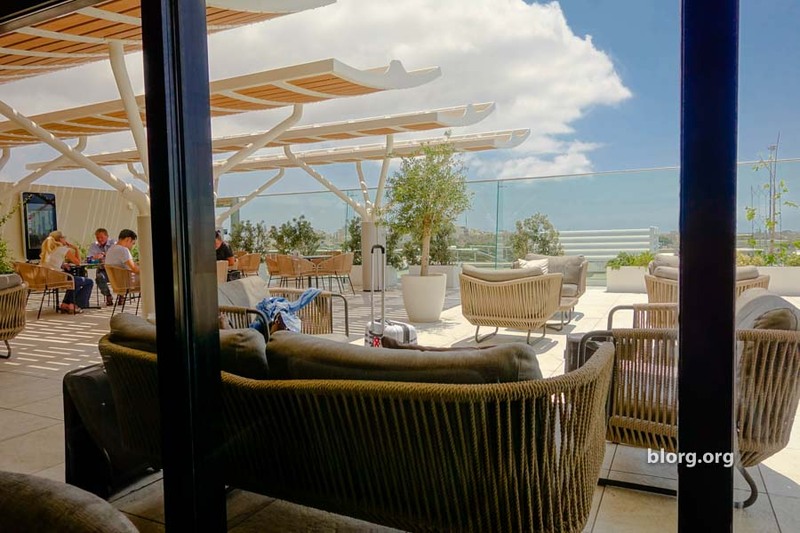 To compare the Malta lounge to the other free lounges I’ve written about (only blogged about Dublin and LAX so far but have been to 50+) Malta is hands down the most impressive. It’s not the best airport lounge I’ve ever been to, but it is definitely the best Priority Pass lounge I’ve been to. The key difference is that Priority Pass lounges can be attained with a membership or premium credit card while certain First Class lounges are exclusively for First Class passengers and ultra frequent travelers. The journey starts at Malta airport. The airport itself is pretty average and what you’d expect from a small country. It’s not gigantic with several different terminals serving domestic and international flights. There are no domestic flights in Malta so everything is catered to international travelers. Malta’s airport security really has it together with the highest efficiency I’ve ever seen. That’s due to me completely walking through security in the afternoon and there was no line! The only time I stopped walking through security was when I was waiting for my bag to go through the x-ray. I was very impressed. They have a Hard Rock Cafe Malta…skip it. The lounge is better. Located after Security Checks, you proceed through the Duty Free Shop and at the exit take the lift to the 3rd Floor. They have a 3-hour maximum stay limit so you don’t overstay your welcome. An outdoor patio is available for smokers and plane spotting. They are open 24 hours. Plenty of food and drinks are available. The quality matched the environment (it was very good). With a wide variety of coffee, beer, liquor and wine. You also had a selection of various hot and cold food. Snacks too! Priority pass voted them the best lounge of 2017. This was taken in the summer of 2018 and the quality was still there. I would like to know the other competing lounges so I have a reason to visit new places. ⟵Staying at the Radisson Blu Malta Golden Sands For Free!